Tech O Blog : Start menu in Windows is getting a new name ! Start menu in Windows is getting a new name ! 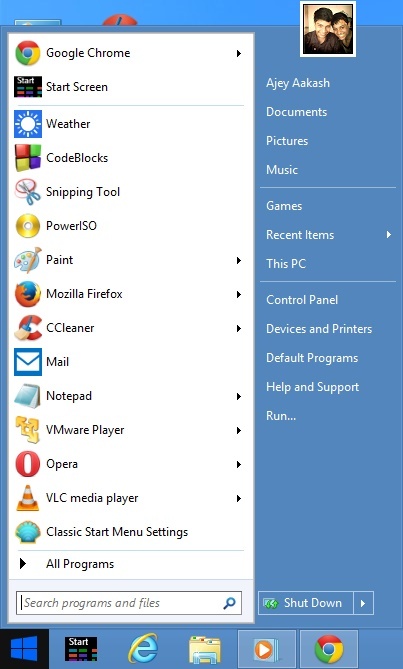 Start menu has been with us for more than a decade and seeing it go in Windows 8/8.1 was one of the hardest thing to digest for traditional Windows users. Though the Start Screen was intended to be work great on both keyboard and mouse combo and also with touch. Unfortunately this did not work out for Microsoft. They tried to convince users with a solid update with Windows 8.1 but even it did not do the trick. So, Microsoft has no other option but to bring the Start menu back in desktop builds of Windows. This is what exactly the tech giant has planned to do. They say that they have listened to their users and hence are making some plans to bring the Start menu back but with a new modern strategy and look which will keep Windows new and refreshing.A new report from ZDnet states that the new start menu will be called as "mini-Start" . As you can guess, it's going to have a modern look like the Start screen and also provide shortcuts to all the apps installed in the PC like the old start menu in Windows 7. That's how it is going to be. Microsoft calls start screen as "Start" and the start menu as "mini-Start". Microsoft is planning to release it in late 2014 or early 2015 ! Even i am waiting for the return of the Start Menu in the next version of Windows. Many of my friends refrained from using Windows 8/8.1 due to the absence of Start Menu. ;) :) You are most welcome !